The world's population is expected to grow to 9 billion by 2050, according to the UN Department of Economic and Social Affairs, and currently, 870 million people – one in 8 – are hungry. Three of the world's foremost molecular biologists have been recognized for their groundbreaking research that is helping to alleviate the world's growing hunger crisis. For their outstanding work, they were awarded the 2013 World Food Prize – the "Nobel Prize" of the agricultural science world. "Scientific advancements will play a critical role as we face the greatest global challenge of producing more food in a sustainable way, while confronting an increasingly volatile climate," said Ambassador Dr. Kenneth M. Quinn, President of the World Food Prize Foundation. The winners of the World Food Prize are Dr. Marc Van Montagu of Belgium and Dr. Mary-Dell Chilton and Dr. Robert T. Fraley of the United States. They were recognized for their independent, individual work on biologically and genetically enhanced crops, modifying plants to improve and increase food productivity on a global scale. 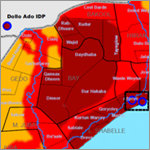 The announcement was made on June 19 by US Secretary of State John Kerry at the State Department in Washington. On October 17, the three Laureates were honored at the World Food Prize Laureate Award Ceremony at the Iowa State Capitol, receiving their award and $250,000 to be divided among the three. To honor their achievements and support further research into solving world hunger, Elsevier has made a selection of their research published in Elsevier journals freely available (see section below). Elsevier publishes 40 journals in its agriculture, plant and soil sciences portfolios, each reporting on the scientific progress of how agriculture can increase efficiency and improve yields. The portfolio publishes about 8,000 peer-reviewed research articles a year, which are available to the global research community and to developing countries through the Research4Life program. In 2012, Elsevier launched a multidisciplinary journal called Global Food Security and an accompanying new Global Food Security conference series. Both the journal and conference are supported by an active and fast-growing scientific community that has contributed to a successful start of the journal and the First International Conference on Global Food Security, held in the Netherlands September 29 to October 2. The conference was sold out with 600 participants from over 65 countries. By communicating the latest scientific breakthroughs and facilitating collaborations in this important field, Elsevier aims to support global food research during current and future challenges. Nesting their work on the discovery of the DNA Double Helix structure in the 1950s, these three laureates targeted plant cell transformation using recombinant DNA. Independently working in both the US and Europe, Dr. Van Montagu, Dr. Chilton and Dr. Fraley each conducted their own molecular research on how plant bacteria could be adapted as a tool to insert genes from another organism into plant cells. Combined, their pioneering work has contributed to the emergence of the scientific field of agricultural biotechnology and has set the stage for engineering crops to improve yields, increase resistance to insects and disease and develop tolerance to variations in climate. Today, billions of acres of crops have been planted by millions of farmers around the world, over 90 percent of whom are small resource-poor farmers in developing countries. They have benefited from innovative methods in molecular breeding and biotechnology, enabling them to provide food security for people around the world. Dr. Marc Van Montagu was born in 1933 in Ghent, Belgium, and holds a PhD in organic chemistry/biochemistry at Ghent University (1965). His path of study focuses on research on RNA bacteriophages. Dr. Van Montagu has founded two biotechnology companies: Plant Genetic Systems, best known for its early work on insect-resistant and herbicide tolerant crops, and CropDesign, an agricultural biotech company focused on the genetic engineering of agronomic traits for the global commercial corn and rice seed markets. In 2000, he also founded the Institute of Plant Biotechnology Outreach at Ghent University with the mission to assist developing countries in gaining access to the latest plant biotechnology developments and to stimulate their research institutions to become independent and competitive. To date, Dr. Van Montagu is an influential advocate for the transfer of plant biotechnology for the economic, environmental and health benefits of the emerging and developing nations. Dr. Mary-Dell Chilton was born in 1939 in Indianapolis, Indiana, and holds a PhD in chemistry from the University of Illinois (1967). She initially focused on research in disease and insect resistance and recently has worked on making the transfer of genes into a plant cell more efficient. Before being hired by Ceiba-Geigy (now Swiss-based Syngenta) in 1983, Dr. Chilton worked at Washington University in St. Louis, where she and her team were responsible for finding a process to transfer genes from other organisms into plants. The discovery, which first was conducted using tobacco, showed the scientific community that plant genes could be manipulated much more effectively than could be done through traditional breeding. Dr. Chilton established one of the world's first industrial agricultural biotechnology programs, leading applied research in areas such as disease and insect resistance, as well as continuing to improve transformation systems in crop plants. She has spent the last three decades overseeing the implementation of the new technology she developed, further improving it to be used in the introduction of new and novel genes into plants. Dr. Robert T. Fraley was born in 1953 in Wellington, Illinois. He received a PhD in microbiology/biochemistry from the University of Illinois in 1978. He is Executive VP and Chief Technology Officer at Monsanto . Hired by Monsanto in 1981 as a research specialist, Dr. Fraley led a plant molecular biology group that worked on developing better crops through genetic engineering — to give farmers real solutions to critical problems such as the pest and weed infestations that frequently destroyed crops. His early research built upon the discoveries of Dr. Chilton and Dr. Van Montagu as he focused on inventing effective methods for gene transfer systems. Dr. Fraley and his team of researchers have worked on developing a number of commercially available products, beginning with the launch of Roundup Ready soybeans in 1996. The technology allows the crop to be sprayed with an herbicide known as glyphosate, eliminating the weeds and leaving the crop plants alive and thriving. 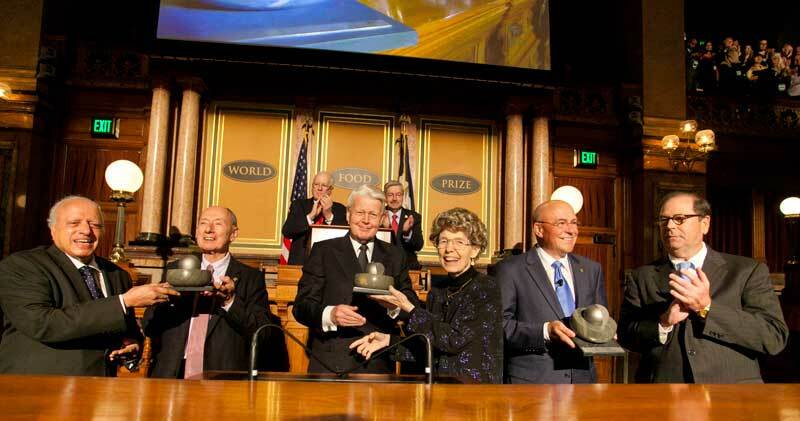 The World Food Prize was first created in 1987 by Nobel Peace Prize winner Dr. Norman Borlaug. It is the foremost international award recognizing individuals whose achievements have advanced human development by increasing the quality, quantity or availability of food in the world. The prize considers contributions in any field involved in the world food supply -- food and agriculture science and technology, manufacturing, marketing, nutrition, economics, poverty alleviation, political leadership and the social sciences. A Selection Committee of experts from around the world oversees the nomination and selection process, and is chaired by Professor MS Swaminathan, the first World Food Prize Laureate. Press Officer Sacha Boucherie works closely with Elsevier's journal publishers, editors and authors at one end and with science journalists and reporters at the other end with the aim of spotlighting and promoting interesting, topical research articles. She is based in Elsevier's Amsterdam headquarters and holds a master's degree in social psychology at the University of Groningen in the Netherlands.